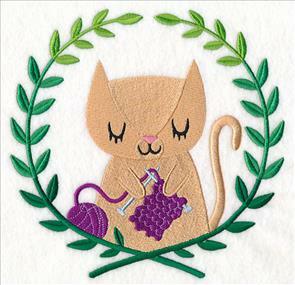 February brings two very special events in the crafty world: It's National Embroidery Month, and it's Embroidery Library's 19th birthday. Join us for a very special month of celebration! 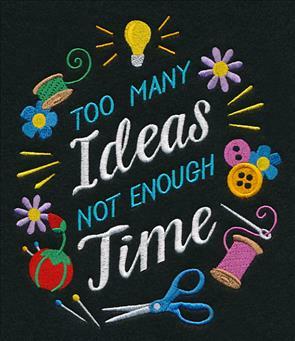 Display your love of crafting with this week's colorful and creative new designs -- sewing machines in a variety of styles, cute crafty animals, lively sayings for creative types, quick-stitching borders of craft supplies, applique sewing machines, and more. 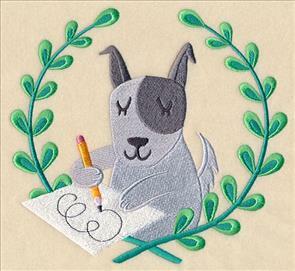 Stitch the designs for yourself, and for all the crafty people you know and love. 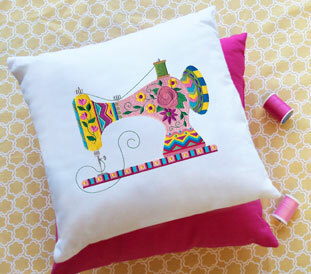 Brighten up your sewing room decor with unique new sewing machine designs. 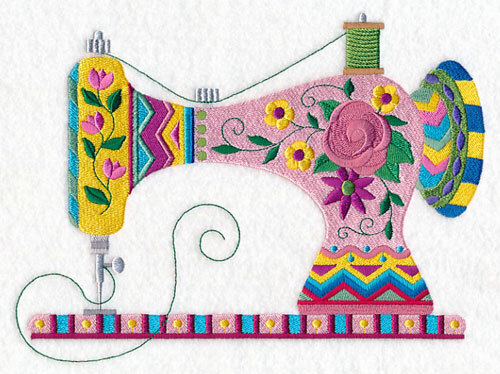 Let your creativity bloom with this floral sewing machine. Colorful patterns and details make the design an enchanting favorite. 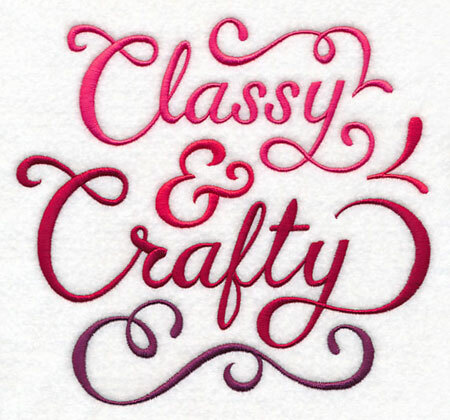 Pretty on tote bags, organizers, and more! 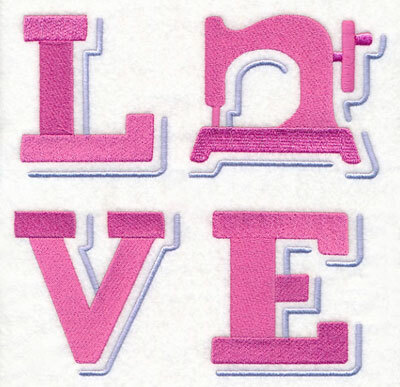 9.19" x 6.85" and 7.79" x 5.81" and 6.50" x 4.85"
Inspired by rubber stamp and screen print styles, these unique sewing machine designs bring a fresh look to your crafty creations. 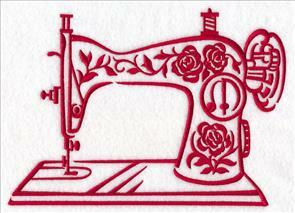 9.76" x 6.89" and 7.78" x 5.49" and 6.85" x 4.84"
Classic Jacobean floral art makes this sewing machine an instant classic. 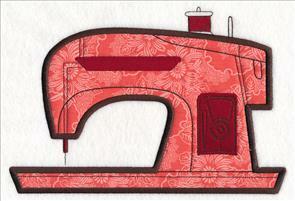 Gorgeous on bags, pillows, and more for your favorite seamstresses! 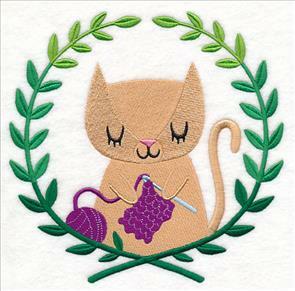 9.70" x 6.89" and 7.78" x 5.53" and 6.83" x 4.86"
Let these cute critters share in the fun of your favorite crafts! 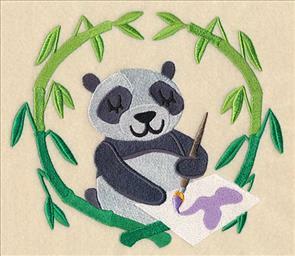 An embroidering elephant, a painting panda, a drawing dog, and more are encircled by pretty laurel wreaths. 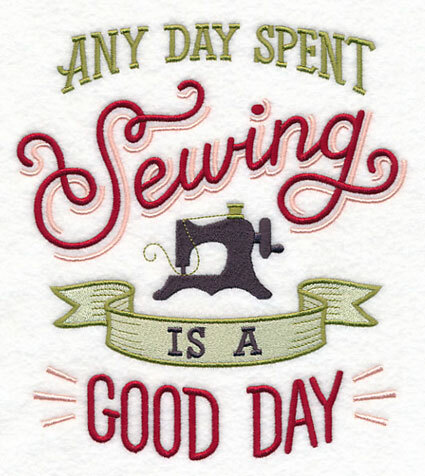 7.81" x 7.37" and 6.90" x 6.51"
5.84" x 5.51" and 5.15" x 4.86"
7.81" x 7.66" and 7.00" x 6.86"
Keep your sewing machine protected when not in use with a unique embroidered cover! 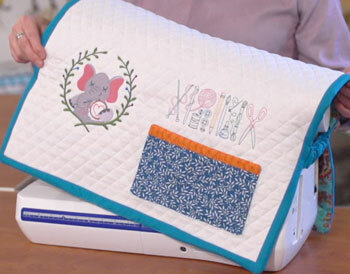 Pre-quilted fabric provides cushioning and a perfect place to display your favorite crafty designs, and side ties make it easy to fit any machine. 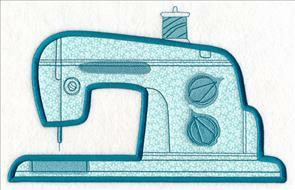 Check out the written tutorial and a new video to learn how to make your own stylish sewing machine cover! 7.81" x 6.77" and 7.17" x 6.21"
6.36" x 5.51" and 5.61" x 4.86"
7.81" x 7.26" and 6.97" x 6.51"
6.33" x 5.86" and 5.25" x 4.86"
7.79" x 7.64" and 7.03" x 6.89"
7.79" x 7.19" and 7.05" x 6.51" and 5.96" x 5.51" and 5.25" x 4.86" and 3.86" x 3.58"
These cute crafty critters are even more fun with friends. Get them all now in a design pack -- regularly priced for $12.97! 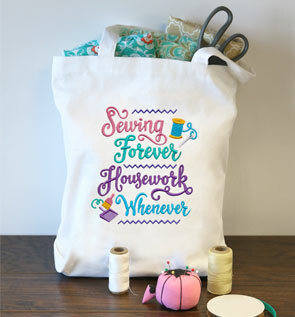 Shout your love of crafting from the rooftops ... or your sweatshirt ... or your tote bag ... with lively embroidered sayings! 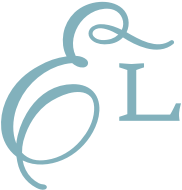 Whether your style is more cute, classic, or quirky, you'll find some new designs here to love. 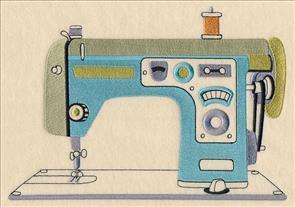 Sew sweet! 7.39" x 6.86" and 6.32" x 5.86" and 5.24" x 4.86" and 3.88" x 3.60"
6.87" x 7.61" and 5.87" x 6.50" and 4.87" x 5.39"
Tote around your favorite crafty sayings wherever you go! 6.87" x 7.66" and 5.87" x 6.54" and 4.87" x 5.43"
7.44" x 7.80" and 6.85" x 7.19"
5.85" x 6.14" and 4.85" x 5.09"
6.73" x 7.82" and 5.85" x 6.80" and 4.85" x 5.64"
7.86" x 7.59" and 7.10" x 6.86" and 6.07" x 5.86" and 5.03" x 4.86" and 3.87" x 3.73"
Light on stitches, big on style! 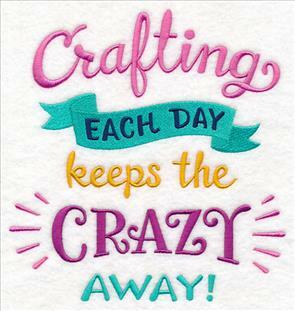 For the crafter who likes to try a little bit of everything, this border of craft supplies says it all. 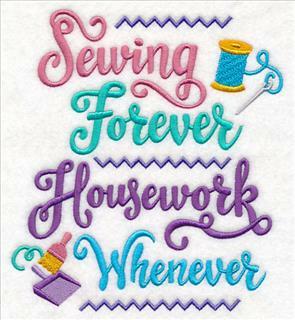 11.75" x 5.11" and 9.40" x 4.09" and 7.80" x 3.39" and 6.85" x 2.98"
Tiny stitched tools all lined up in a row make sweet tributes to quilting and sewing. 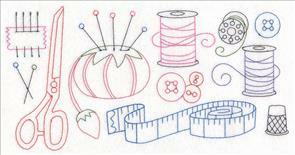 Stitch these designs just once, or repeat over and over! 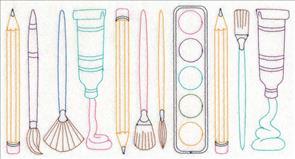 11.75" x 4.93" and 9.38" x 3.93"
11.75" x 5.97" and 9.37" x 4.77"
7.77" x 3.96" and 6.84" x 3.48"
Pencils, paints, and paintbrushes make up an adorably artsy border design. 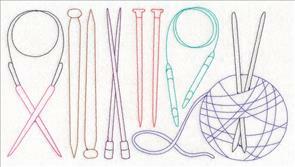 Stitch it on organizers to keep your supplies together and ready to enjoy. 11.75" x 6.15" and 9.38" x 4.91"
7.78" x 4.08" and 6.85" x 3.59"
Keep your art supplies organized in sweet and simple style! You've got the world on a string! 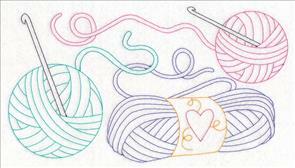 Celebrate a love of your favorite yarn crafts with these cute knitting and crocheting borders. 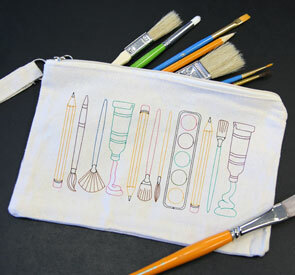 Perfect for project totes to take your work on the go. 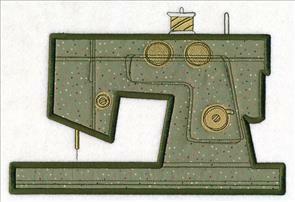 11.73" x 6.43" and 9.38" x 5.15"
11.73" x 6.65" and 9.38" x 5.32"
7.78" x 4.41" and 6.85" x 3.89"
Dress up these sewing machines in your favorite fabrics! 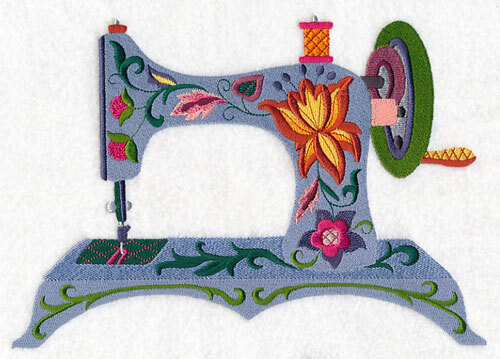 Applique designs in three distinctive styles are lightweight and bold-looking all at the same time. 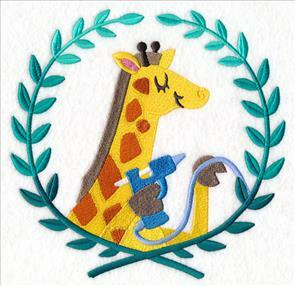 Stitch these lovely designs on throw pillows, sweatshirts, and more sewing-themed creations. 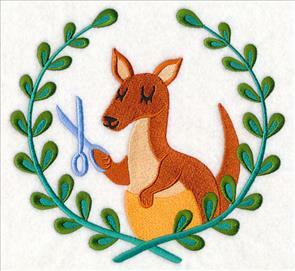 See how to stitch classic applique designs right here. 10.15" x 6.89" and 8.63" x 5.86"
7.80" x 5.29" and 6.87" x 4.66"
10.80" x 6.87" and 9.20" x 5.85"
7.80" x 4.96" and 6.87" x 4.36"
10.06" x 6.89" and 8.59" x 5.88" and 7.82" x 5.36" and 6.87" x 4.70" and 3.86" x 2.63"
An ornate Victorian pincushion is the perfect perch for this cheery bluebird. 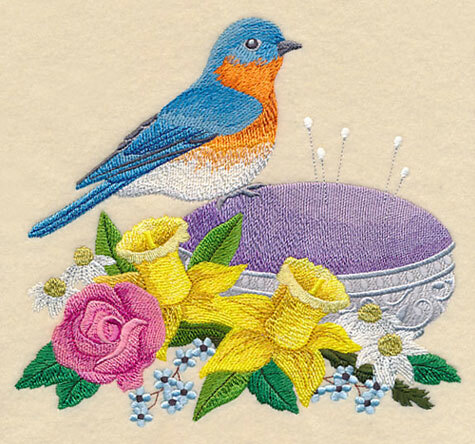 Anna requested a sewing design with birds and flowers that hint at spring. 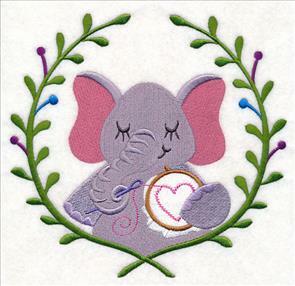 Stitch this colorful and detailed design on throw pillows and wall hangings for your cozy, crafty corner. 7.58" x 6.90" and 6.40" x 5.83" and 5.33" x 4.85"